If you haven’t yet heard of Museum Hack (or even if you have) this TEDx video is a good introduction to the company’s why and how. The founder never liked museums and didn’t bother attending them until a friend gave him a personal tour. Once he was able to explore according to his own impulses and share thoughts and impressions individually, he fell in love with museums and began giving tours to his friends, featuring his top 10 objects and stories in the museum. His tours generated a buzz and became so popular that he’s built a business out of small group museum tours with entertainment as the primary goal. If you were to give a “hack”- type tour of your own institution, what objects and stories would you include? Online artifact images, accompanied by stories, allow users to customize their own learning (or entertainment) paths. 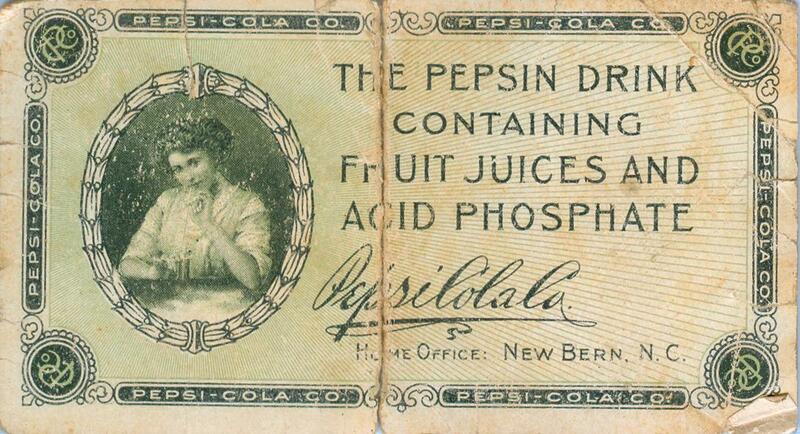 Some institutions have been reluctant to share digitized versions of collection items for several reasons. Among them is the fear that putting collections on the internet will be a disincentive for face-to-face visitors. Despite digitizing and sharing most of its artifacts at high quality resolution for free, the Rijksmuseum in Amsterdam has experienced record-breaking attendance in the last year. Could it be that the virtually unlimited access to collections this museum supplies online actually motivates in-person visits? If your institution shares some or all of its collections digitally, can you correlate that to an increase or decrease in visitation? 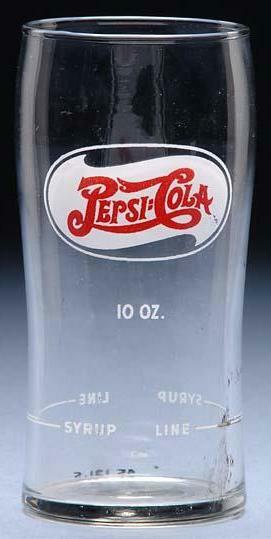 In your experience, what other methods of customized engagement with collections have been successful? Have you heard yet of the “Anarchist Guide to Historic House Museums?” It started several years ago as a series of presentations and a social media campaign and will soon be published as a book. We’ve recently learned that North Carolina is one of the two primary centers of the authors’ (Deb Ryan and Frank Vagnone) research (New York being the other). Professor Deborah E. Ryan teaches architecture and urban design at UNC Charlotte and has organized class and individual student visits to several NC historic house museums. The core concept of the “Anarchist Guide” is that focusing on preservation, historical accuracy, and exclusivity can undermine the higher callings of museums to be welcoming and engaging spaces. Such ideas, though justifiably controversial, are worth discussing and it is the mission of our NC branch of the Connecting to Collections program to encourage both preservation and access (pres-ac). We have written here before about new access approaches to historic houses, especially programs that depart from the traditional docent-led, roped-off-room tours and facilitate historical imagining with re-enactments and visitor role playing. Vagnone and Ryan emphasize the importance of cultivating an understanding in visitors of what it was like to inhabit a space in earlier periods. In one class exercise, Ryan instructed students to graph their historic house museum experiences with “energy,” “imagination,” and “excitement” as variables. In the past several years, Ryan and Vagnone have repeatedly included the graph one student created about his visit to Rosedale Plantation in Charlotte as an example in their “Anarchist Guide” presentations. Like most museum visitors, Kevin Schaffner’s energy level started out fairly high and continuously decreased over the course of the visit. His imagination and excitement peaked when he could feel like he was discovering traces of the past by encountering artifacts or century-old handwriting on a wall, but overall, he felt bored by the docent-led tour. This detailed visitor feedback, especially from a younger visitor—a demographic historic house museums often struggle to interest—is valuable, if challenging, and has led Ryan and Vagnone to advocate self-guided tours and allowing visitors to touch artifacts. When visitors can sit down and enter typically closed-off spaces like bathrooms, Ryan and Vagnone believe historic house museums can sustain visitors’ energy and heighten their imaginations about what it was like to live in the house in the past. In houses with lower visitation levels and fewer safety and security concerns, this may be an option. If the site displays “expendifacts,” sitting on the furniture may be okay. But many historic house museums cannot allow unfettered access in general on a daily basis without compromising the artifacts that make them unique. Preservation and access is always a tough balance to manage. What innovative approaches has your institution tried? How do you negotiate between these often-competing needs for both preservation and access? 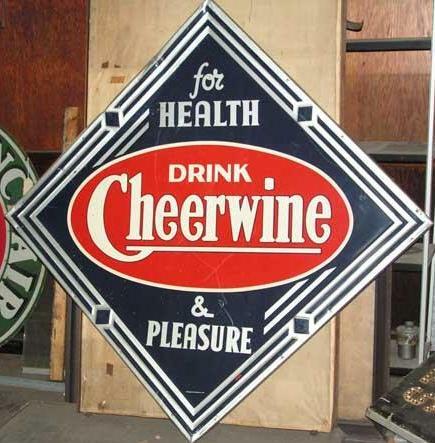 A rich resource of North Carolina history and culture is now easily accessible online. The State Library of North Carolina has recently completed a collaborative digitization project with Our State Magazine, Digital NC, and additional partners. Staff scanned over 102,000 pages of a comprehensive set of issues from 1933 – 2011. (Our State’s website includes archived issues from the present through 2009.) Not only is the site searchable by key word and subject, but it also has a convenient “page flip view” feature, which allows viewers to peruse any issue, page by page, and pause for more in-depth reading with a click. Browse through and land upon topics that interest you or have potential to engage your community. June 1933 marked the first issue of The State, which began as a weekly news magazine and evolved into the monthly features publication Our State is today. That first issue referred to local particulars of significant national pressures such as the Depression (1933 was the most intense year) and the end of Prohibition. Interestingly, The State’s coverage indicated that community leaders were relieved the repeal had not increased public drunkenness or crime, but that some business owners were disappointed that beer sales had not yet boosted the economy. The State provided a forum to discuss and promote North Carolina businesses. The 1933 inaugural issue included an advertisement for Chatham Blankets (right), a product of the woolen mill which was once the primary employer in Elkin, NC. It’s laudable that the Chatham Manufacturing Company supported the new Raleigh-based publication with an advertisement touting the industry’s role in sheep raising in the NC mountain region. Meanwhile, the company produced large, colorful advertisements for national audiences in prominent magazines like Good Housekeeping and Life (as in this 1947 example on right). The current issue of Our State brings the subject of Elkin’s renowned factory full circle by profiling a town pharmacist and local historian, whose grandparents worked at the mill and who now collects Chatham blankets and other local memorabilia. What 20th-century topics are relevant to your community’s history? If you work with an NC institution, there’s sure to be some useful text and imagery in this treasure trove. So–ready, get set, GO explore Our State! Thanks to Professor Susanna Lee and her graduate students for the following guest post! Be sure to click on each artifact link to read and/ or listen to students’ interpretive discussions and ideas on how a 3D print could be useful for museum educational programs. NCMOH Collections Division Chief, John Campbell, looks on as NCSU history graduate students prepare a butter mold for 3D scanning. 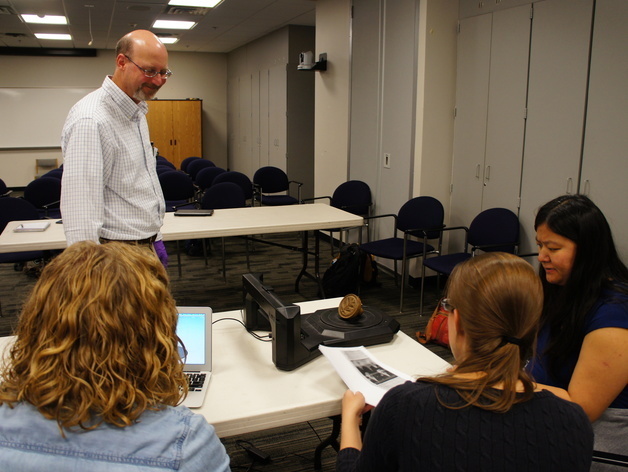 On October 7, 2014, students in Professor Susanna Lee’s Theory and Practice of Digital History class (HI 534) in the History Department at North Carolina State University went to the North Carolina Museum of History to participate in a 3D-scanning project. The project was an exploration into the cost effectiveness of 3D technology for museums and the methodological problems and challenges with using 3D technology to present historical artifacts. Students first used 123D Catch, MakerBot Digitizer, and other programs to capture 3D scans of four museum artifacts dating to the eighteenth and nineteenth centuries. Students then posted 3D models of the artifacts to Thingiverse, an online space for sharing 3D printable objects. For each 3D model, students also provided an interpretation of its historical significance as well as an explanation of the scanning process. We welcome you to explore the 3D models that students created and interpreted. Butter Mold: This butter print was made in the late 18th century, and the hand-carved design appears to be a tobacco plant. The exact origins and uses of this butter print are unknown, but the artifact represents the importance of butter-making on rural farms in early America. Furthermore, the butter print emphasizes the role of women in farm production and income. Hog Scraper: This well-crafted hog scraper was likely made in the nineteenth century and used on a North Carolina plantation or farm. Little is known about the origins of the hog scraper, but this durable artifact is a great historical teaching tool for children and adults alike. Tea Caddy: According to the museum’s records, this tea caddy was used at the Edenton Tea Party in Edenton, NC in 1774. The Edenton Tea Party is widely recognized as one of the first acts of political protest associated with the American Revolution. 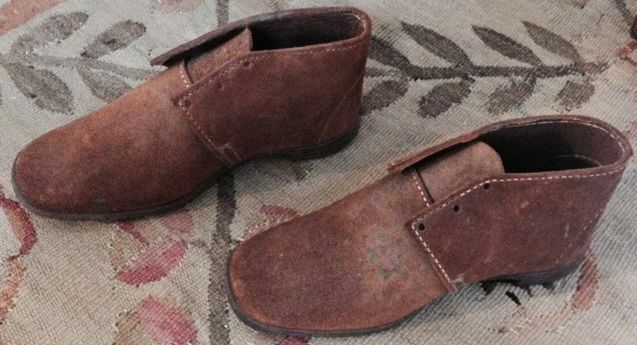 Child’s Shoe: This leather children’s shoe was likely made by an enslaved craftsman named “Old Jack” in 1862 for the Nolan family of Cleveland County, North Carolina. Although little is known about “Old Jack” specifically, students used the shoe and associated records as a window into the lives of black and white Southerners on the eve of the Civil War. Despite the high cost of 3D scanners (starting around $800), this exciting new technology may be possible for your institution to try, by partnering with area universities or other organizations. What artifacts from your collection would make the best candidates to reproduce this way? 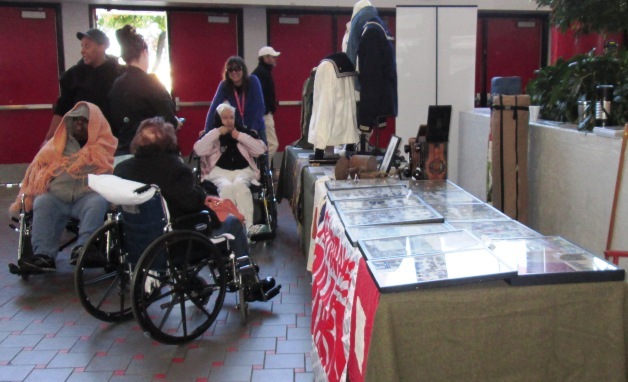 A few weeks ago, the Gathering Place Project hosted a session on modifying our cultural heritage institutions to become more accessible to individuals with disabilities. The Americans with Disabilities Act (ADA) requires publically funded organizations to make “reasonable accommodations” for access. Of course, “reasonable” is a subjective term and depends a great deal on the organization’s capacity, staff and financial resources in particular. Another challenge in compliance is that needs vary tremendously. There is no one set of access measures that will allow access for all disabilities. Accommodations for someone who is blind differ from those for someone with intellectual disabilities and again for someone with impaired mobility. Online guidelines can help cultural organizations navigate toward accessibility improvements. Some suggested modifications are physical: ensuring ramp access to entrances, providing family bathrooms, creating signage in large sans-serif fonts. Other modifications require welcoming attitudes and the development of new procedures to accommodate a wider range of physical and intellectual abilities. Every cultural organization is required under the ADA to assign one staff member the responsibility of functioning as a point person to handle access requests. Upon receiving requests for services to individuals with disabilities, avoid saying “No, we can’t do that.” Instead, get contact information to get back in touch. Brainstorm possibilities and discuss them with other staff members. If you can’t meet the initial request, suggest alternative activities or other ways you can be welcoming. Most people with disabilities want to focus on what they can do, not their limitations. When they come to participate, ask “How can I help you?” and “What can we do to make your experience more comfortable?” The experience of this Charlotte family, denied access last summer at a historic house museum in Savannah, is a cautionary tale for all of us. Avoid making assumptions about how to proceed. Listen to the patron and present as many access options as possible. Many counties across the state have service organizations for people with intellectual and developmental disabilities. Wake Enterprises operates in Wake County and supports employment in addition to coordinating social and learning opportunities for its constituents. These county-based groups could be an untapped audience for many history museums. Participants may need activities on a children’s educational level but can be sensitive about having child-like content. Tactile opportunities such as learning from an educational collection which they can touch can be especially effective and enjoyable. If special tours at your site are impractical, Wake Enterprises has had success with travel trunks, especially when a museum staff member or docent comes to the organization and offers a program. If you can imagine developing an appropriate special tour or program, please get in touch with a staff member at your local county organization to discuss possibilities. The NC Arts Council offers a range resources for arts inclusion here. Arts Council staff are available to offer advice on accessibility assessments and plans for improvement. Access to cultural heritage institutions is challenging, especially for those who live with disabilities every day. But the opportunities to build deep and meaningful connections to diverse segments of your community can be rewarding. What can your organization do to welcome new audiences? The hands-on training and opportunities for networking and discussion that C2C offers in regional workshops are important collections care resources, but more and more collections professionals look to the internet for answers. Our team also strives to act as guides for our NC cultural heritage community in navigating the vast tangle of resources available online. In this vein, we urge you to check out a new website http://stashc.com/. Weeks ago the Connecting to Collections online community hosted a free webinar in which Conservator Rachel Perkins Arenstein introduced this new resource and highlighted some of the storage solutions she considers to be the most practical. You can view the archived version here. The acronym STASH stands for Storage Techniques for Art, Science, and History. This effort represents collaboration across the disciplines and those of us working in history organizations perhaps have the most to gain/ learn from our colleagues in these other fields. Science museums, especially, have developed storage systems that allow both preservation and access. Researchers analyze collection specimens in those institutions as evidence of ecosystem changes and/ or species-specific evolution. Storage systems must allow close inspection of specimens, while minimizing handling and providing thorough support for artifacts that are often very fragile. Many of these solutions are great examples for cultural heritage collections to emulate. Of the three types, art museums are often the best funded and individual collection items typically boast a much higher monetary value than do historic artifacts. As a result, these institutions can more often afford professional conservation staff who have set professional standards for all types of museums, especially in climate control, filtering systems, lighting, and exhibition mount-making. Our favorite examples from the STASH website include a discussion and list of disaster recovery supplies for every institution and a nearly comprehensive list of collections care supplies, along with suggested sources. Several of the specific storage solutions are low-cost and simple enough to recommend to the cultural heritage institutions we work with. For instance, check out a quick and easy-to-construct tray system made with corrugated polypropylene board here. This system would work well with many types of lightweight artifacts and help maximize shelf or box space. What storage techniques are successful in your space? STASH also includes an option for submission so you can share your ingenuity to a broad collections care audience. And of course, we’re always happy to provide a smaller-scale forum for your collections care stories here.